Thank you for visiting my site. My name is Michael Sims, and I was born and raised in Nashville, Tennessee. Much like Northwest Arkansas, it’s a place where hard work and southern hospitality are a way of life. I graduated from Western Kentucky University with a Bachelor of Science in Electrical Engineering Technology. Then after 28 years working in the rubber manufacturing industry for Bridgestone/Firestone and Gates Corporation, I decided to pursue my passion for real estate. Having relocated six times throughout my career, I understand the challenges that come with changing jobs, moving, and finding your next home. 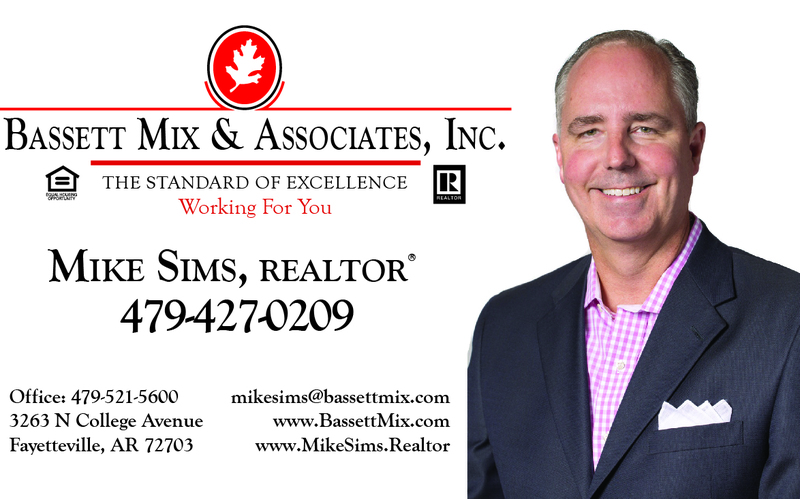 I also know how to navigate the complex real estate process and can be your go-to resource for insight and advice. My family and I have called Northwest Arkansas home for over 15 years living in Siloam Springs, Elm Springs, and now Fayetteville. I’m involved in several community organizations, which have allowed me to develop many relationships across the region. The fact that I have been a buyer, seller, property manager, investor, and now agent, allows me to have valuable knowledge to assist each client. All of these experiences, coupled with my background in project and engineering management, have prepared me for being a REALTOR®. I’d enjoy the opportunity to work with you, help you transition into a new home, and turn your real estate dreams into a reality.